I wonder why still nobody planned a replica of this beauty.. I am still in big love with dino 206sp. Imho the p4 still has not justice in replica world. Being the nicest ferrari ever (according also to what maranello said in its 60th birthday..as the best of the show there). Today I know it is cause the power of ferrari lawers around, and sorry to all..I think now they are right. I agree Paolo it is a beautiful car, also I think you hit the nail on the head. Ferrari is very jealous of it's brand and will go after people who rip it off including replica builders. The whole issue of manufacturers "protecting" their old designs against replicas seems quite bizarre to me - I would have thought that replicas were "free advertising" for the marque in general. Most guys walking around with $500,000 to spend are not going to buy a replica, but if they see a nice P4 replica on the road, they just might start to think Ferrari instead of Benz, etc. The replica evokes an image of class / exclusivity / beauty - the rich guy probably knows/cares nothing of the history of Ferrari & its classic cars, but thinks "Yep, that's a cool brand, but I'll get a new one because I don't want the hassles that come with old original models or replicas". Perhaps more pertinent to today's situation, I am convinced that for every GT40 replica bought instead of a new Ford GT, there would be 10 new Ford GT's sold because the buyer had seen a replica ! I have seen it many times - well-heeled car enthusiasts come up to me & ask "Where can I get one ?" When I have to explain that mine is a replica & you will have to build one, you can see the disappointment. Then when I tell them that they could get a brand new one - if they lived in the US, further disappointment. I would bet that quite a few of these guys would have gone straight down to the local Ford dealer & bought a Ford GT if they were available here. In the US, this type of guy did just that ! Team instead of their self-serving lawyers, sales would go up instead of legal fees being up ! In the current climate, we can see where the "narrow minds & broad waists" have brought the auto industry - time these 2 attributes were swapped ! Peter D now gets off one of his many hobby horses !! Too nice. Really didnt think it was possible to beat the p4 in pure beauty..this one does..
Paolo, it is certainly dramatic. But a bit Batmobile, don't you think? If I saw a real one I'd have a much better idea, but the front looks abit long and the whole assembly a bit large compared to the tautness of a little Dino 206. But I'd happily have a replica of one! eheh..probably its just me loving spatula cars (gt40..ford p68...this 312P). where did u saw it for real?..this looks like as one of the most difficult reds to meet around, according to my link above. One day u can fit spyder body,another a closed coupè. That 312 P has always been a favorite of mine too. 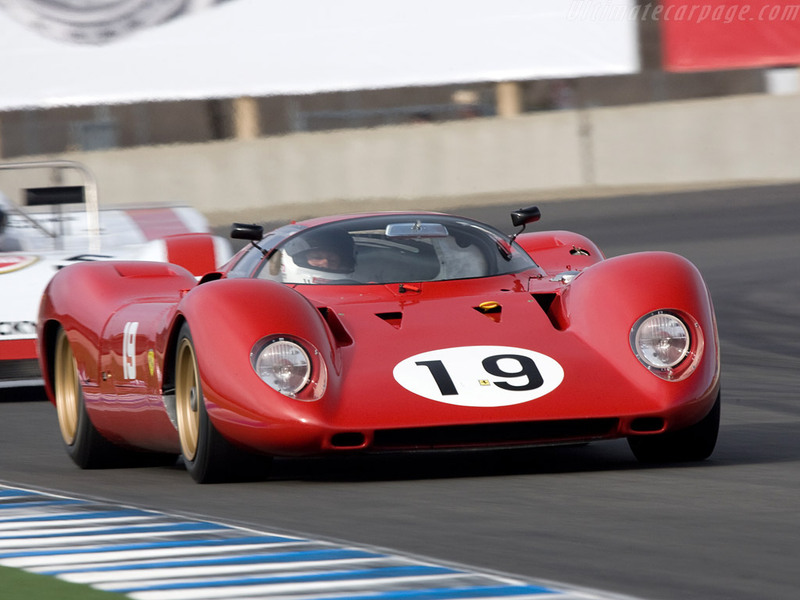 Lovely car the 312 P, I literally forgot Ferrari built one. A few years ago, Silvano Toni's son, Davide, raced a 206SP in EU racing. I saw the car in his Maranello workshop. You might fancy an afternoon out !!! OMG James...u say this..and I think at the quality of the gt40 u are building there. Can I die? Dom,in the next months me and my friends are planning (another) visit to Maranello factory.